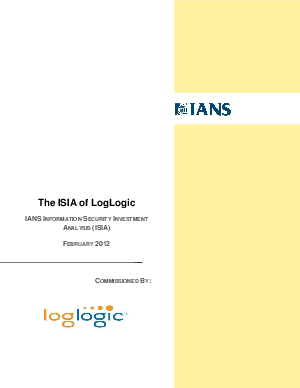 On behalf of LogLogic, IANS conducted an Information Security Investment Analysis (ISIA report) on Log data management and compliance products. IANS interviewed five LogLogic customers using LogLogic products across the various industry verticals to assess their return on investment. The customers provided deep insights and valuable information that is captured in this report to show the various steps that organizations can take to help better manage their Big Data and save on their data management costs, both in money and staff time.